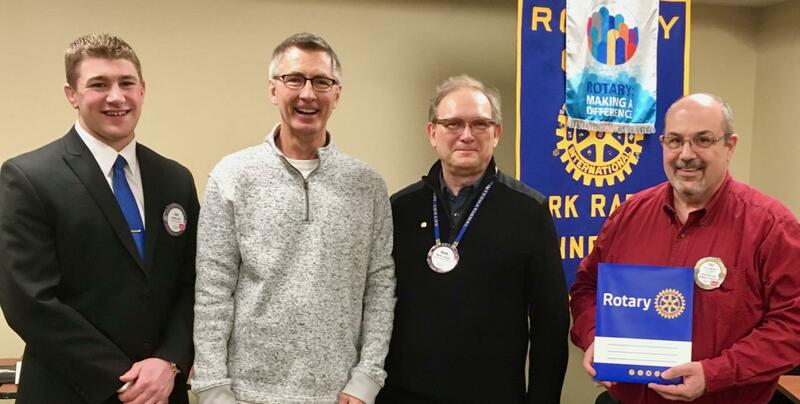 Mike Bruhn was inducted as the Park Rapids Rotary Club’s newest member Wednesday, April 4. Participants in the induction were (from left) Dan Pike, his sponsor; Bruhn; Mark Larsen, club president; and Patrick Sullivan, membership chair. Bruhn opened Bruhn Optical in Park Rapids in 1988 and operated it until he retired in 2016. He continues to own Bruhn Plaza on Highway 34 East.